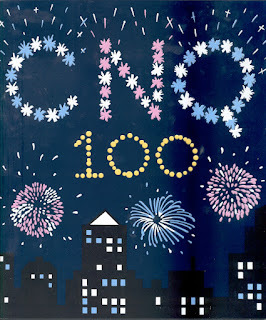 The 100th issue of CNQ has two articles by Brian Busby (see The Dusty Bookcase) on Canadian paperbacks. 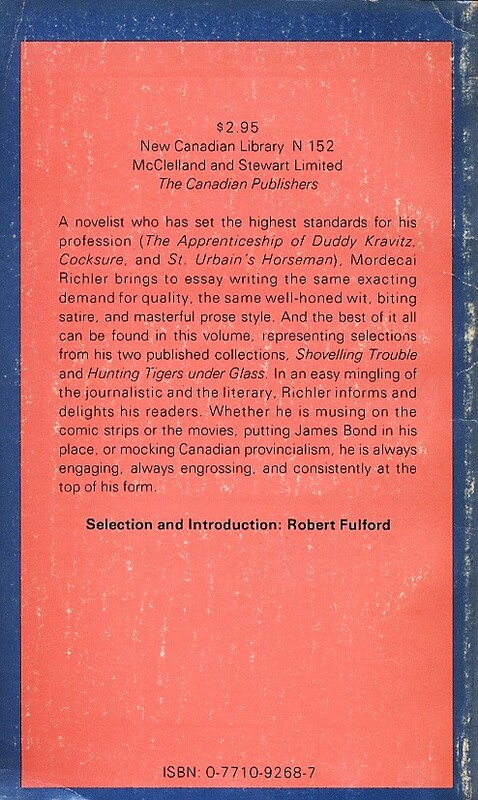 One is about the New Canadian Library series, the other about long forgotten Canadian author Kenneth Orvis (pen name for Kenneth LeMieux). 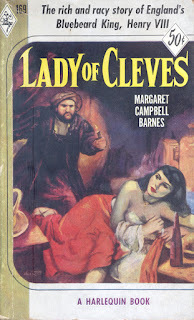 Below is Orvis's first book (and only Harlequin) plus some late number NCLs. 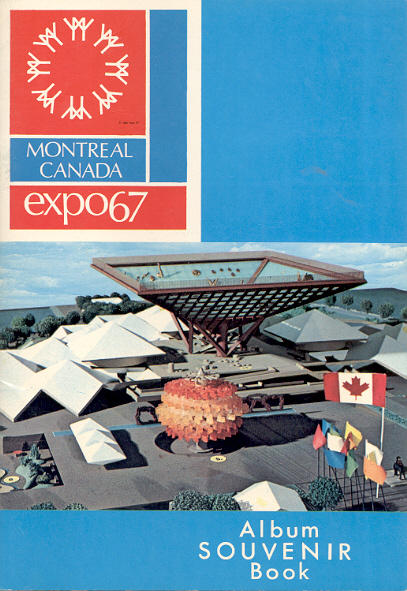 November's Quill & Quire has an article on Montreal publisher's Ricochet Books. 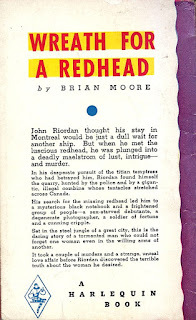 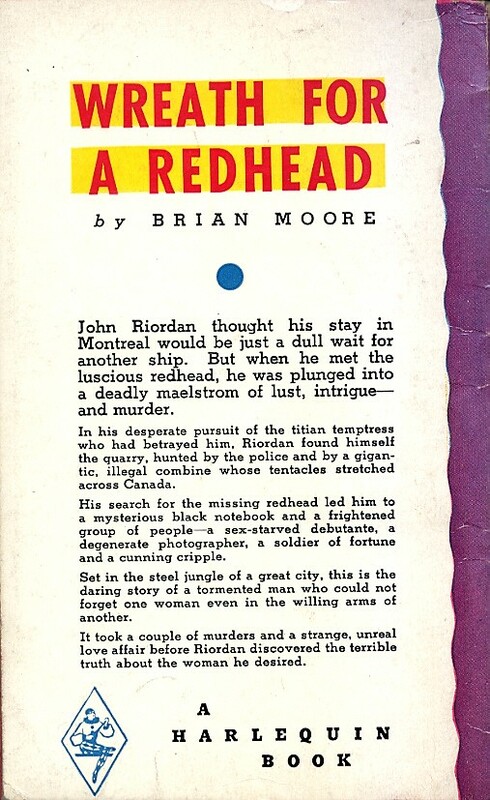 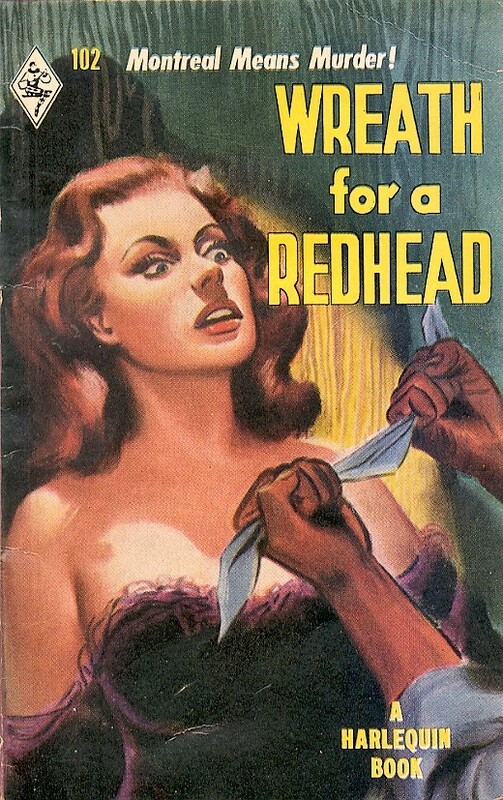 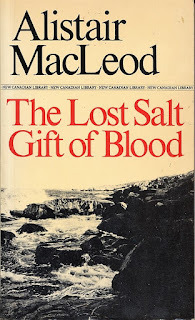 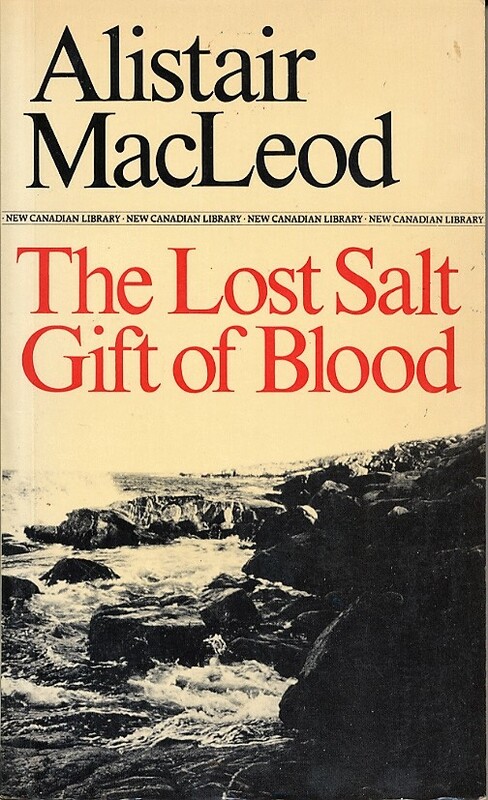 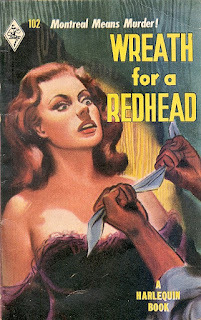 Fine article except, once again, the error that Brian Moore's first novel, Wreath for a Redhead was pseudonymous. 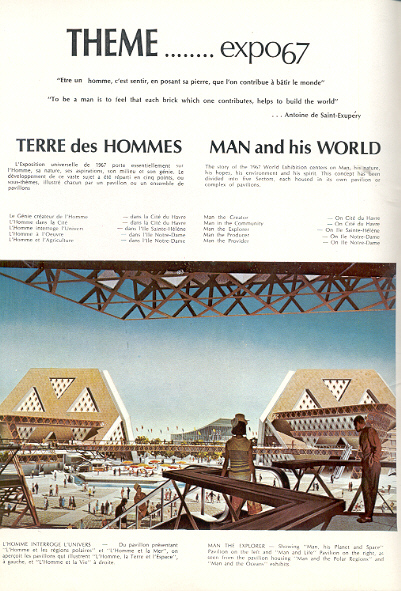 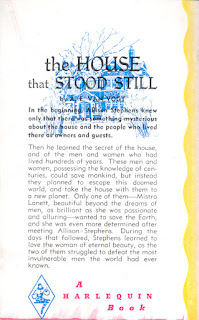 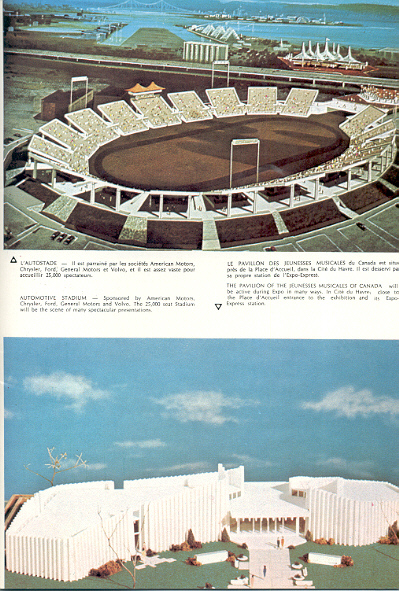 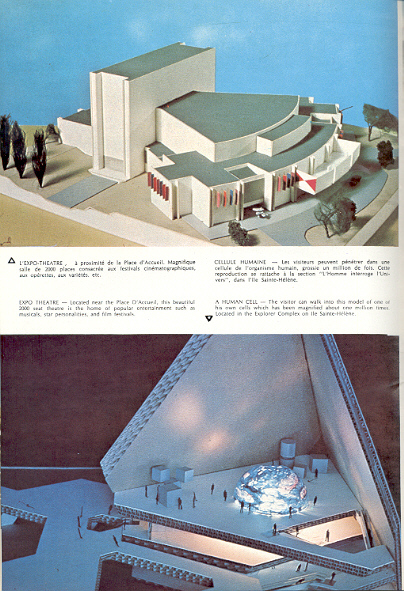 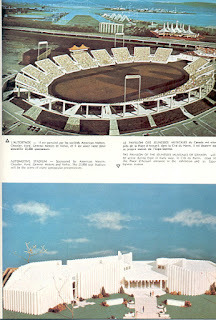 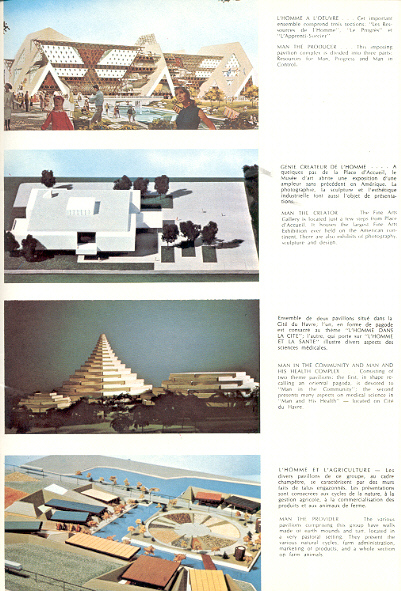 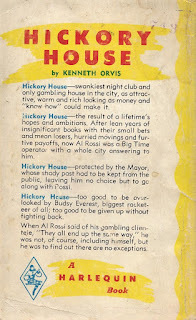 Also below are the original editions of the three books illustrated in the article. 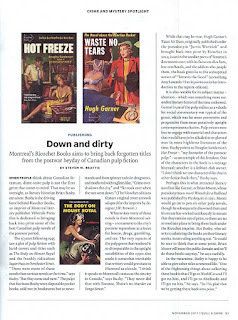 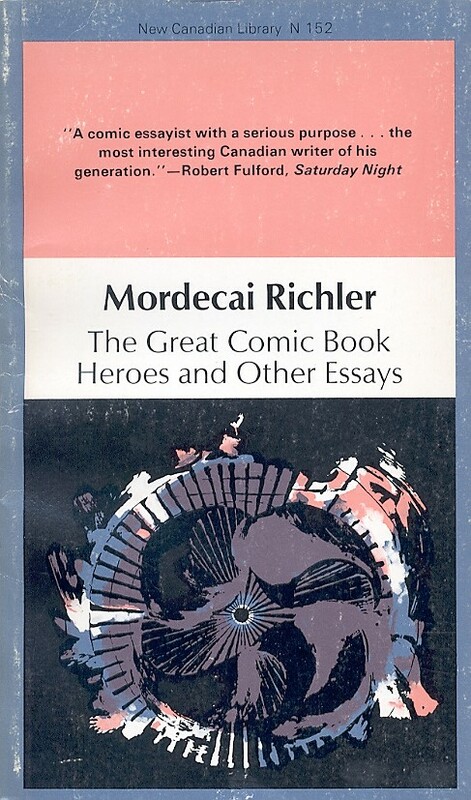 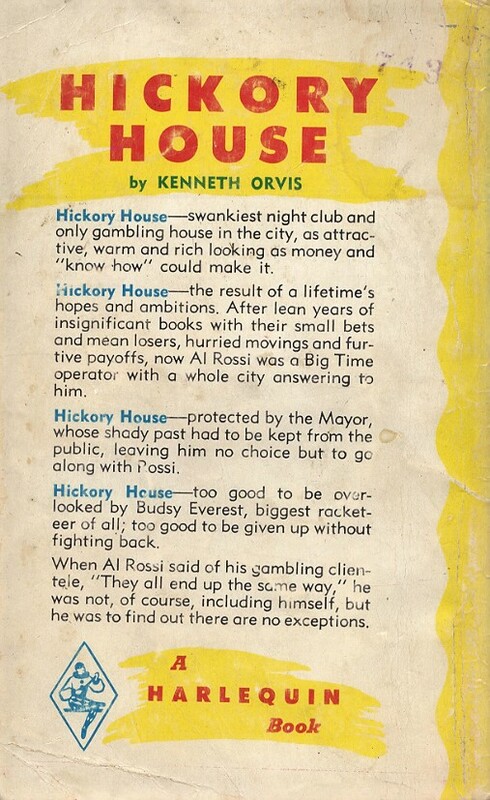 More on Ricochet Books at The Dusty Bookcase. 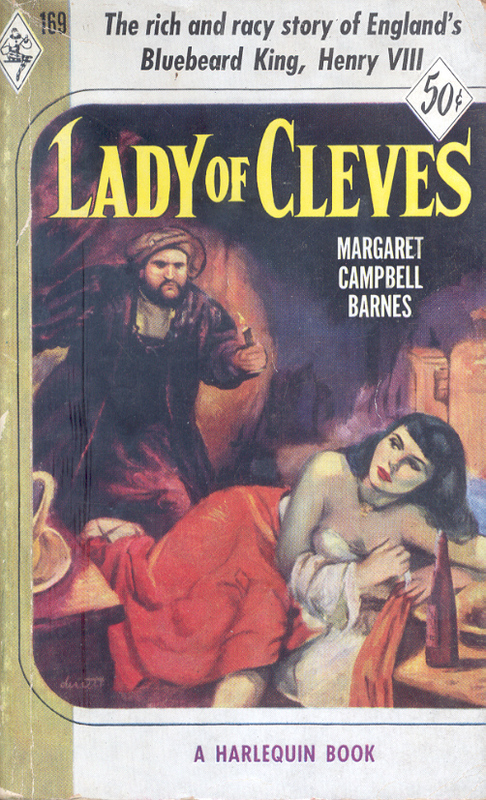 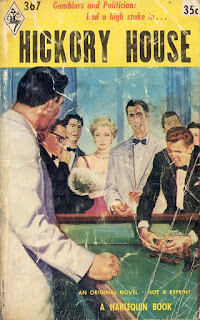 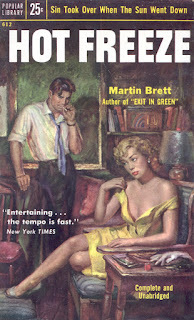 Like G. Collins, the subject of my last post, William Book only did two signed covers for early Harlequin, both in 1953. 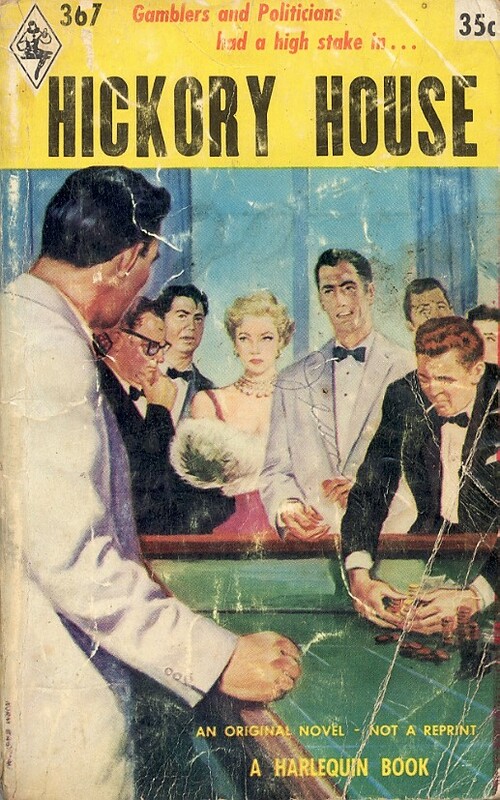 And like Collins there is little to be found about Mr Book other than he was a mid century commercial artist who did illustrations for Canadian magazines and newspapers and lived in Hamilton, Ontario. 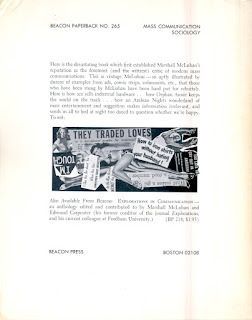 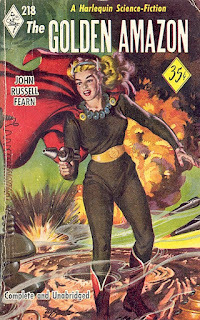 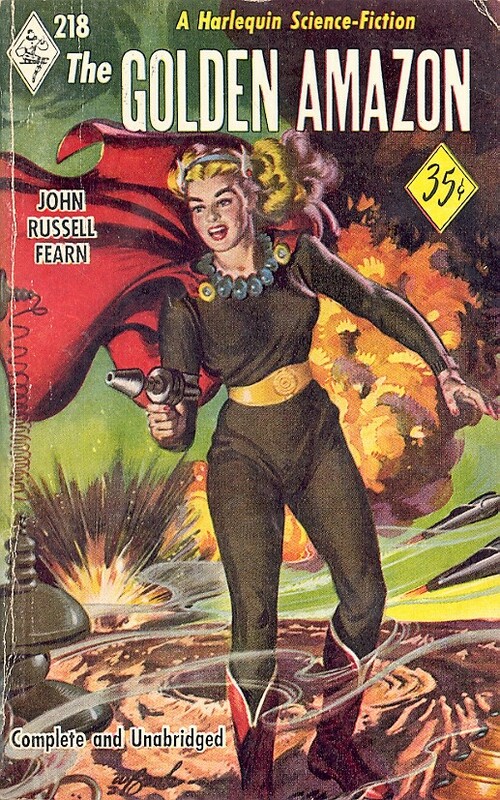 One of the 22 identifiable artists on early (first 500 issues - 1949 to 1960) Harequin books is G. Collins. 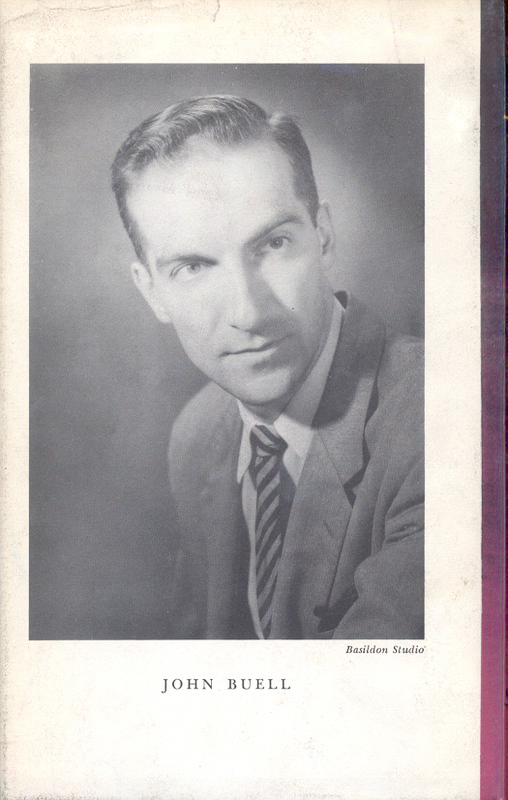 Who is he/she? Possibly Gordon Collins, Ontario College of Art 1944 graduate in Commercial Art. 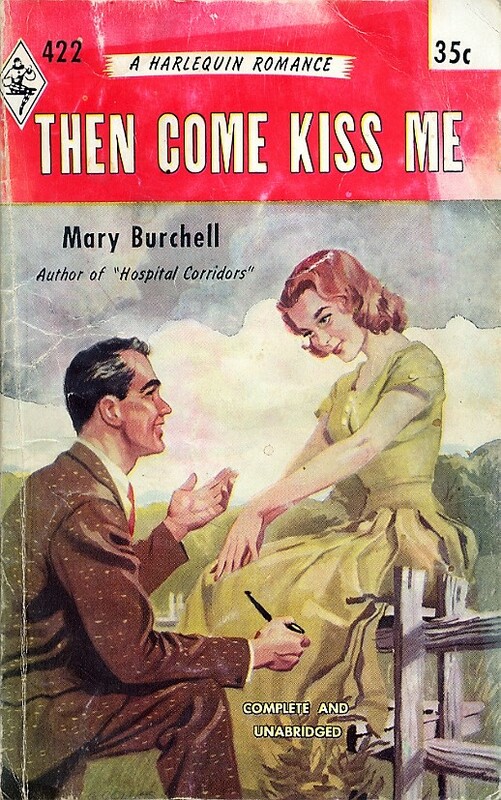 Otherwise no information found. 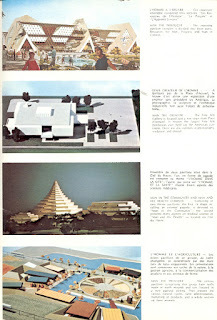 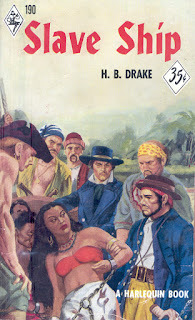 In the first of the posts about early Harequin artist Derrett I said that I didn't know anything about him. 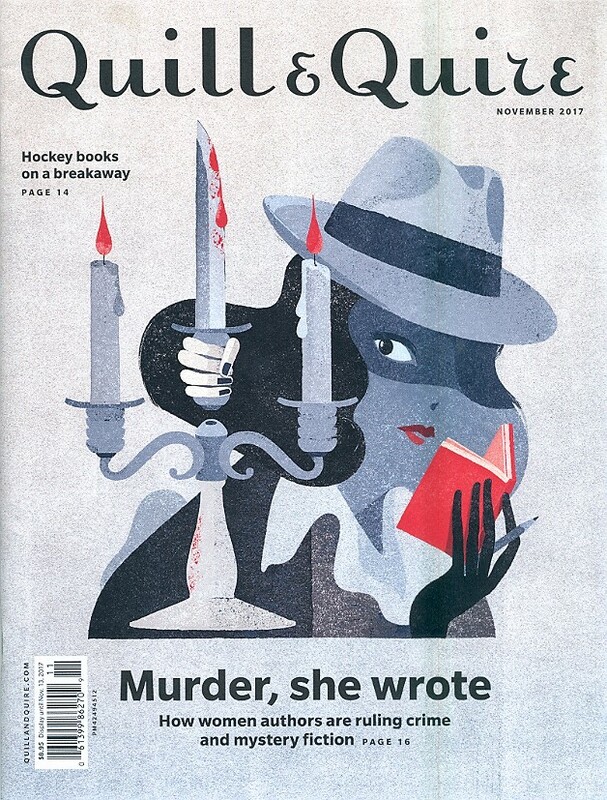 Thanks to a correspondent I now can identify the artist with the third highest number of Harlequin covers in the first 10 years. 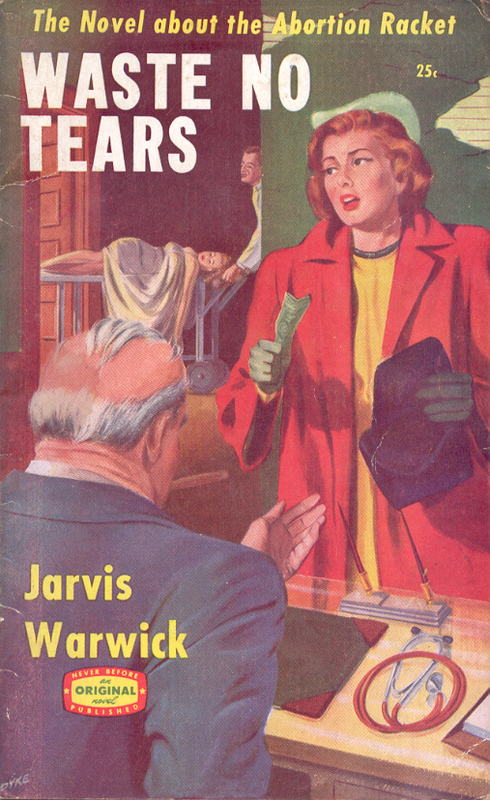 Here are four of his covers from 1952 - all historical fiction. 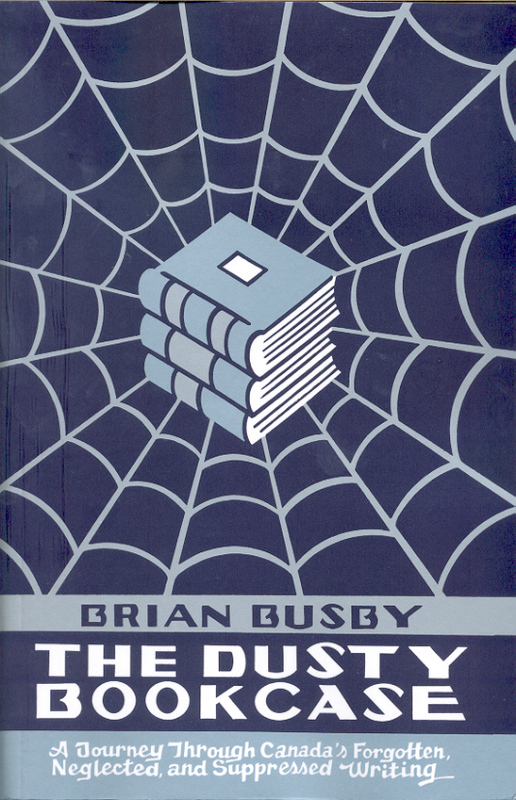 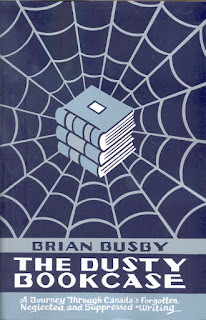 Just out - The Dusty Bookcase (Biblioasis) by Brian Busby. 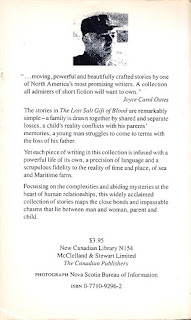 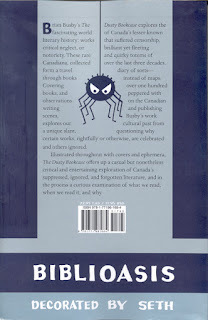 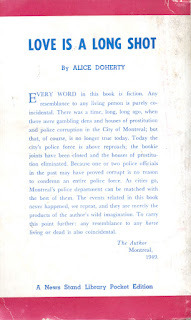 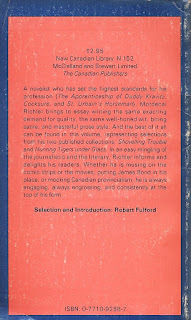 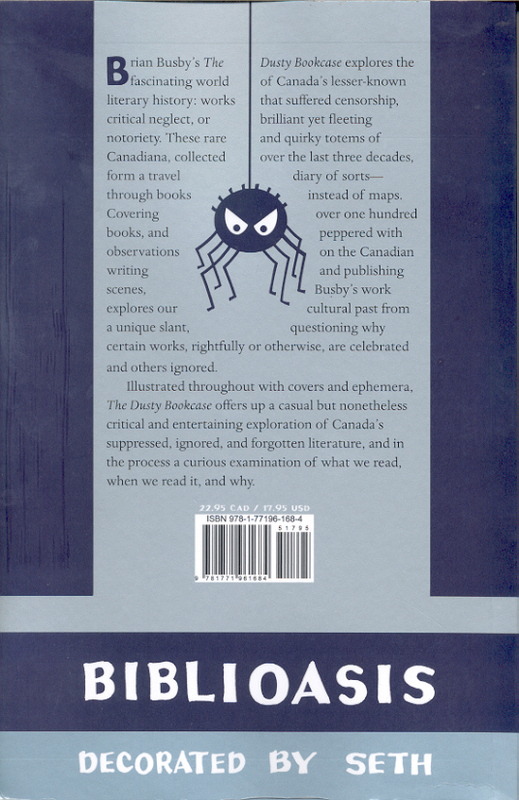 Using posts from his The Dusty Bookcase blog, Mr Busby has told us the story of over a hundred (in his words) "forgotten, ignored and supressed" Canadian books. 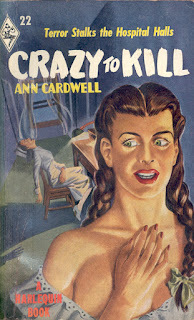 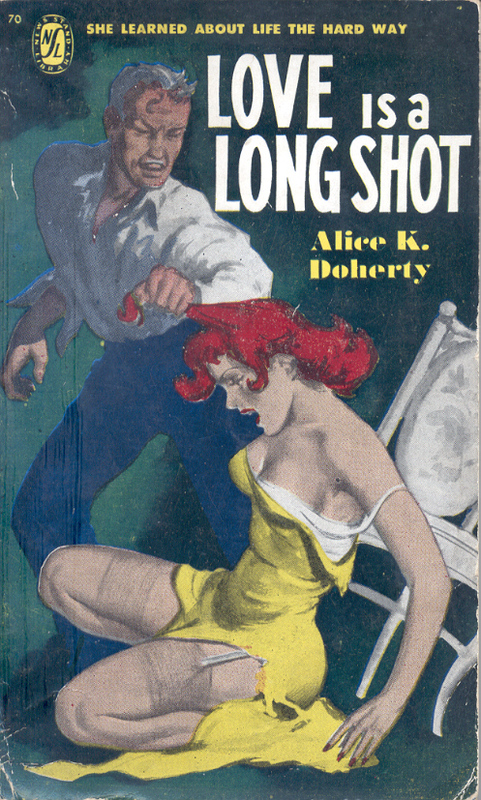 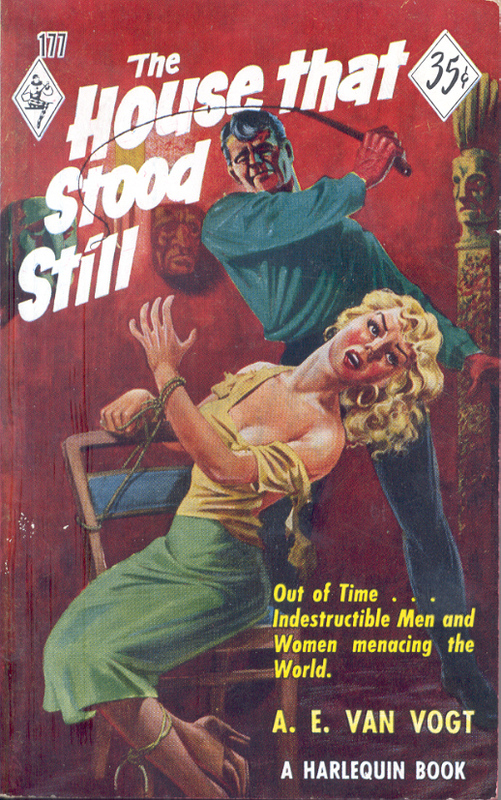 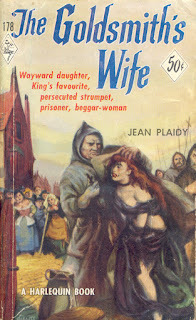 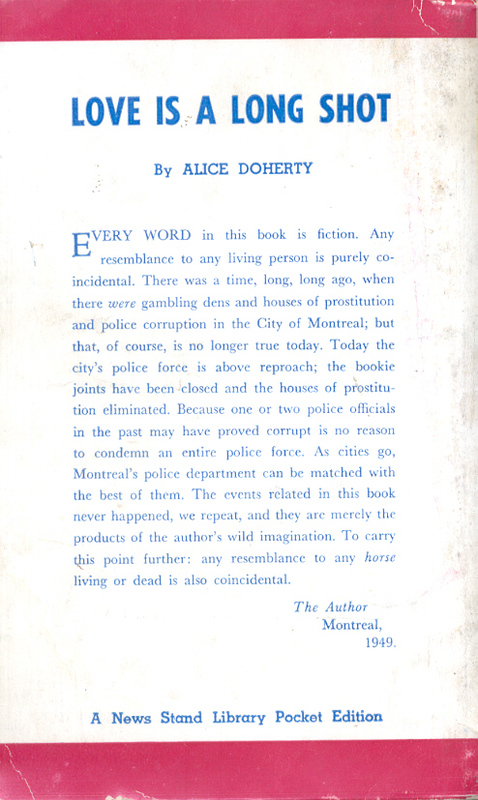 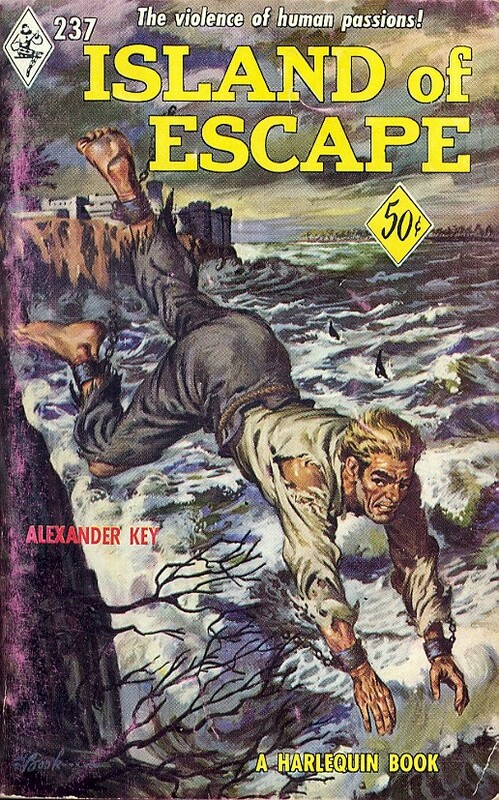 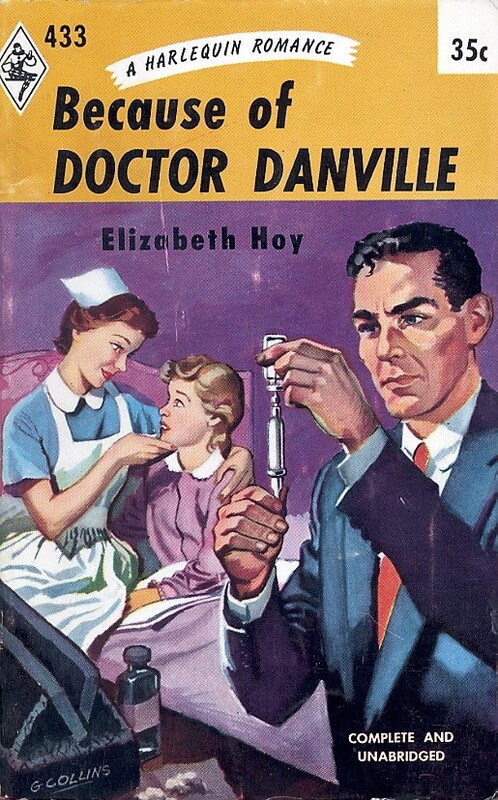 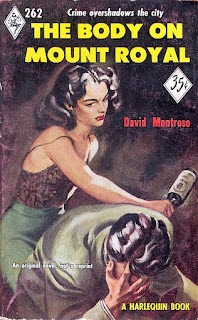 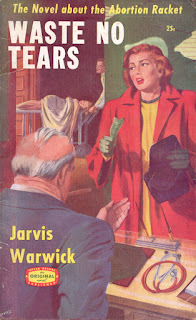 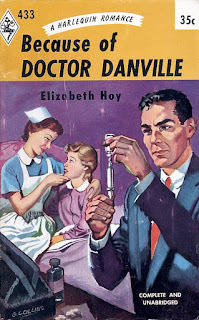 Among the books are sixteen that are the subject of this blog - Canadian paperbacks of the '40s and '50s. Bonus is cover and design by Seth. 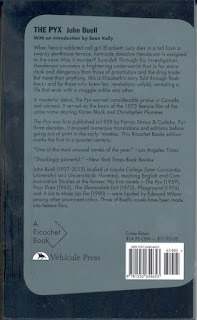 Run, don't walk, to your nearest bookstore and buy. 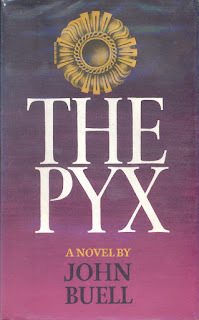 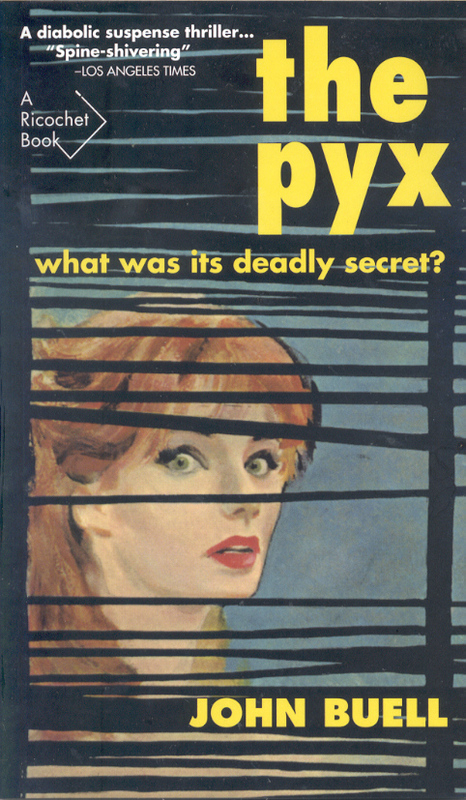 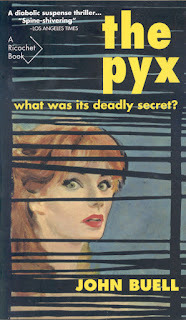 Just back from Montreal where I bought the newly published twelfth book in Vehicule Press's Canadian noir series - John Buell's The Pyx (New York: Farrar, Straus & Cudahy, 1959). 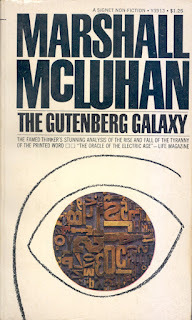 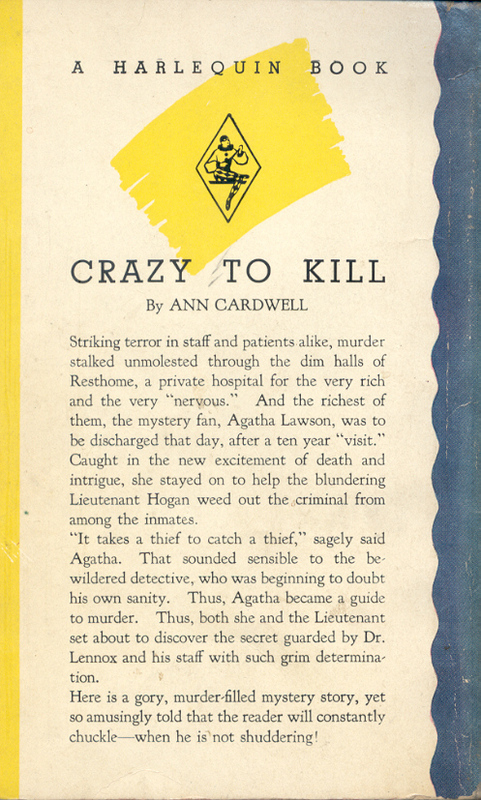 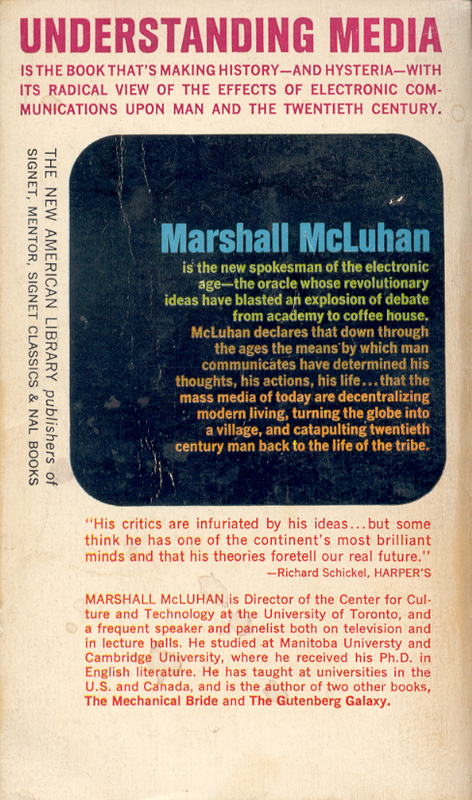 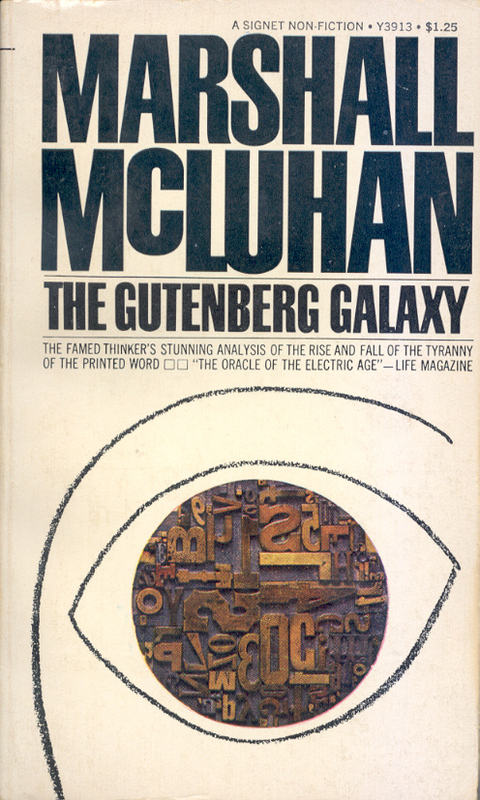 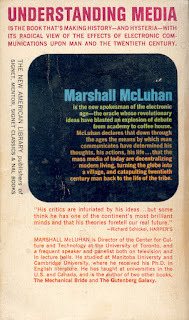 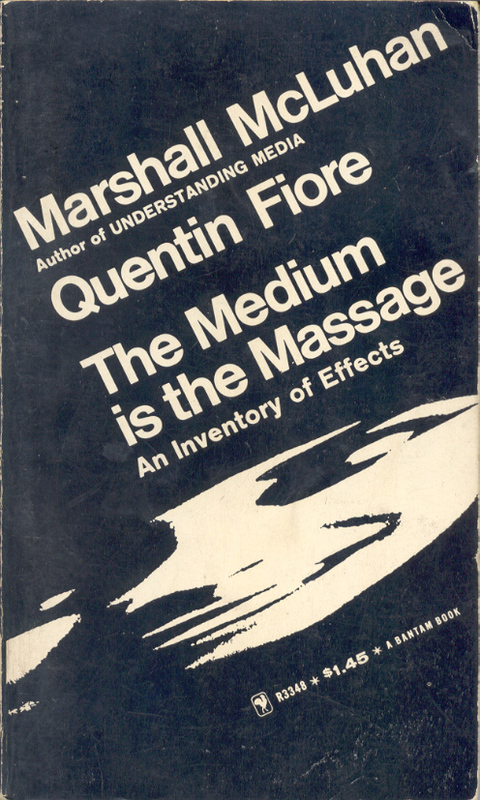 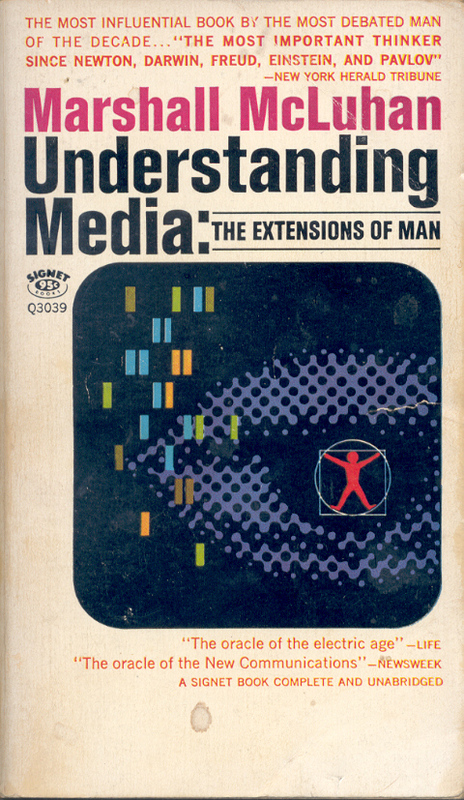 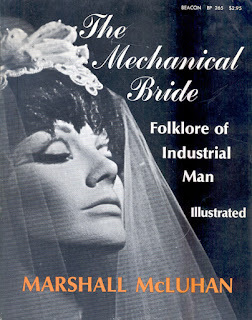 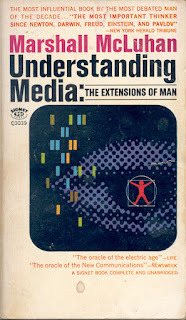 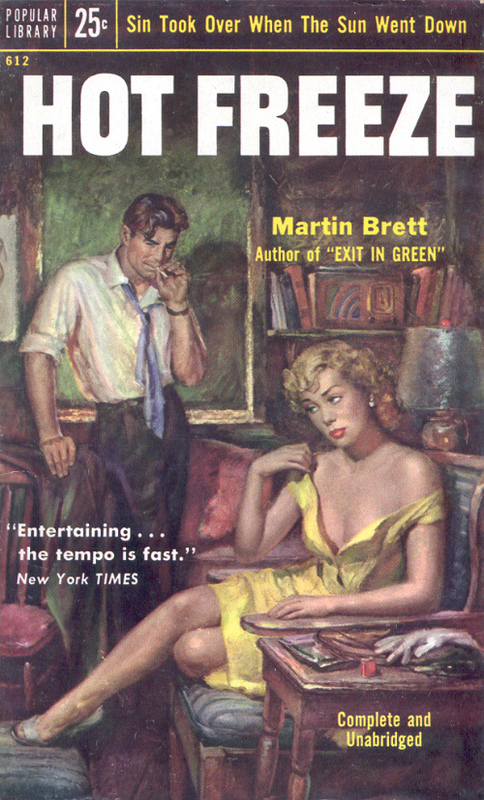 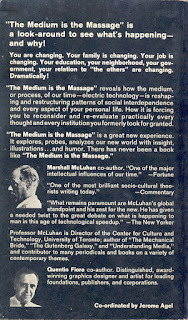 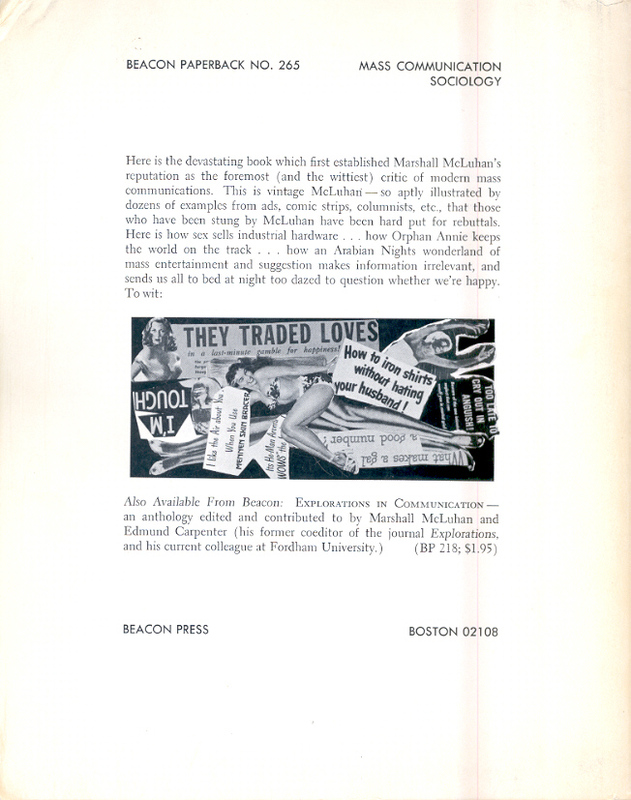 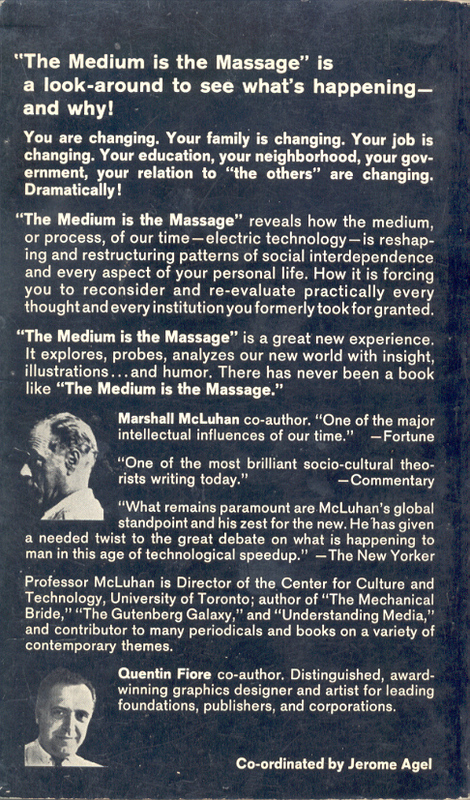 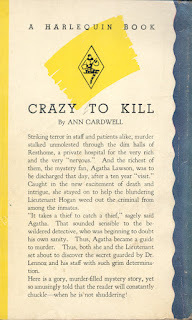 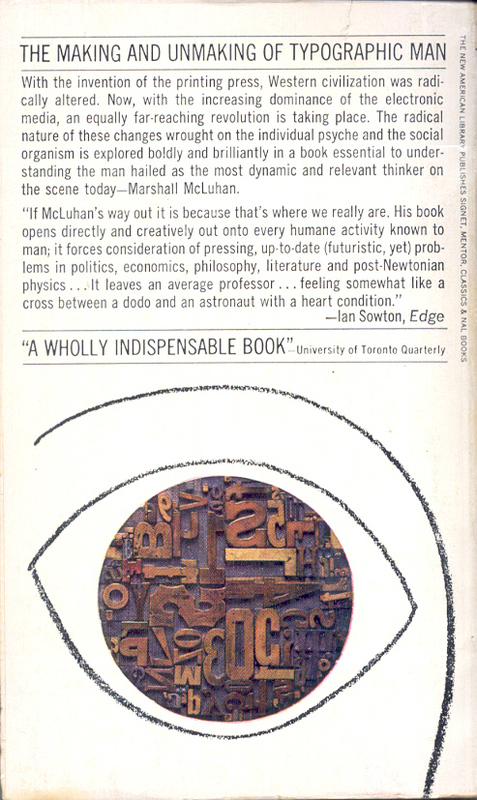 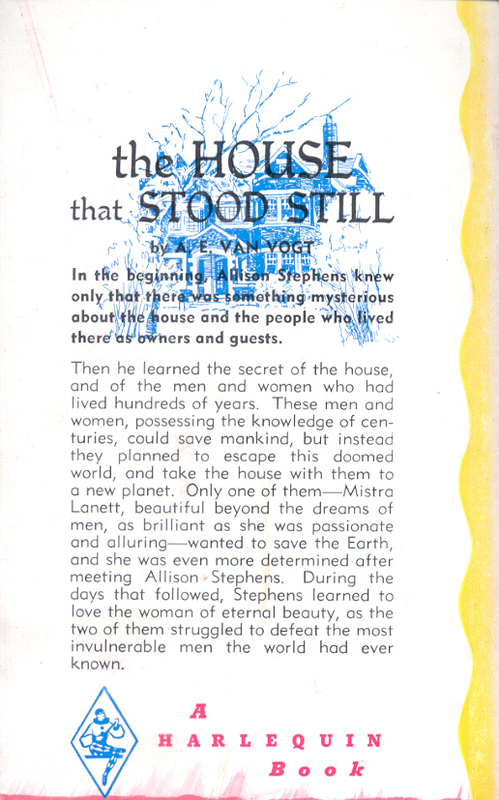 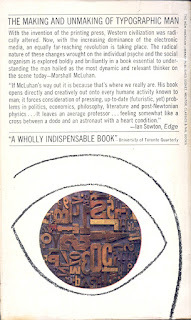 The cover is taken from the original paperback edition - 1960's Crest 408. 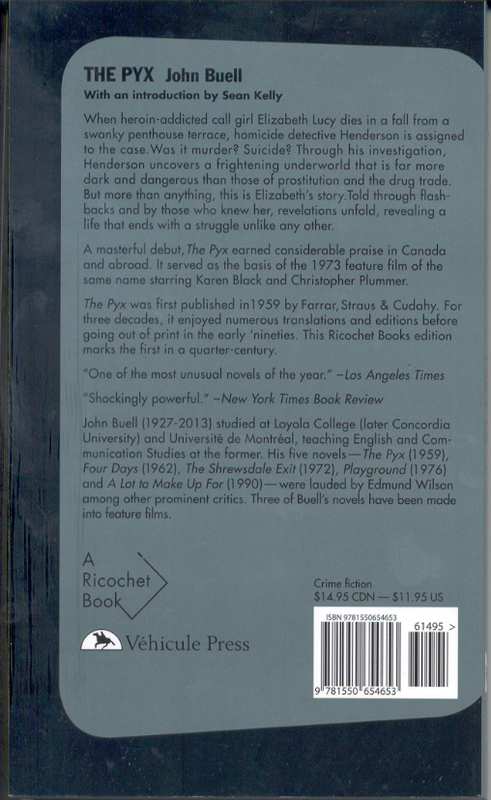 Although Barye Phillip's signature as artist has been removed.